Legal Michigan sports betting is easy to accomplish thanks to the relaxed gambling laws that the state has. There are a number of reasons why Michigan is one of the best states to be sports bettor. 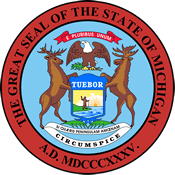 One of the many reasons is that Michigan’s state legislature is currently in the process of making sports gambling legal and regulated. 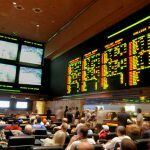 Although there is still a long way to go stateside, Michigan sports fans have long had numerous ways to bet on their favorite sports – namely, offshore online sportsbooks. Understanding the options for legal sports betting in Michigan is beneficial for both new and experienced gamblers. Many fans have questions regarding the legality of the online sportsbooks that accept MI sports bettors, and the answers are not always easy to find. That is why you can continue reading to learn more about Michigan sports betting laws, land-based sportsbooks in MI, and legitimate online options. 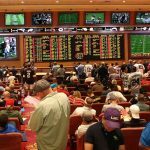 Is Land Based Sports Betting Legal In Michigan? Unfortunately, there are no land-based sports betting options available for bettors in Michigan. Although there are a large number of casinos open in Michigan, none of them are allowed to open sportsbooks at the moment. But they will be soon. There are bills in the process of becoming laws in Michigan. These bills will legalize and regulate sports betting, meaning land-based sports betting is coming to Michigan in the near future. Is It Illegal To Bet On Sports Online In Michigan? Online sports betting is not against the law in Michigan. Or rather, there simply is no law in place that would make online sports betting illegal. This is great news for locals in Michigan because the state does not currently offer land-based sportsbooks. Rather than having to travel to do sports betting, bettors can go online to offshore sites like 5Dimes or BookMaker.eu and make their sports bets there. Betting online is the best (and only) way for locals to enjoy legal Michigan sports betting. Is There Anywhere In Michigan That I Can I Bet On Sports? Although Michigan has 27 casinos across the state, there isn’t anywhere that have sportsbooks open. But on the other hand, you can indeed bet anywhere you want in Michigan. If you access the offshore sportsbooks on your mobile device, you can get just as easily get into the sports betting action as you can on the desktop browser. So you can bet on sports at home, or even while you are visiting one of the great lakes that Michigan is famous for. Michigan is one of the most liberal states when it comes to gambling laws. As previously mentioned, there are a large number of casinos available for bettors to go to. These casinos allow for all different kinds of gambling. There is also a live horse race track available as well. These facts show that gambling is important to the state of Michigan. Because gambling and betting are important to Michigan, the Great Lakes State is in the process of legalizing and regulating sports betting. These bills are MI H 4060 and MI H 4261. These bills will regulate and legalize sports betting via referendum and allowing for parlay wagering. There was a third bill that would have regulated and allowed online gambling, but that was vetoed by the governor. It’s doubtful that will happen again with these other bills and soon locals will enjoy land-based legal Michigan sports betting. Michigan is one of the lucky states because they have strong athletic teams in different sports. Detroit is a hub for powerful professional athletics. The state also has strong Division I teams to cheer for as well. 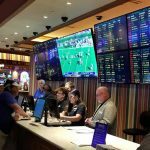 Locals can rest can bet on local teams to earn them some winnings, or if they go online to offshore sportsbooks, they can bet on any team on nearly any game that they want to bet on. Although Michigan only has one horse race track in the state, it offers live horse racing. There are no slots available though. Michigan can go to the horse race track and bet on the races that are going on. A better option for them is to go to offshore sites like 5Dimes to enjoy the races there. Not only can bettors enjoy races in Michigan online, but they can also watch and bet on races happening all over the country. They can make straight or exotic bets as well. The best way for locals to enjoy horse races is to go online and check out the online racebooks. Daily fantasy sports (DFS) is legal in Michigan. There are no laws that prevent DFS sites like DraftKings and FanDuel from operating in Michigan. There are two bills currently up for legislation, MI S 461 and bill MI S 462. Both bills would help regulate DFS within state. Regulating DFS doesn’t mean that DFS is currently against the law in Michigan though it’s just a way for state Congress to keep DFS sites in check. Right now, DFS players can take part in many different contests across a large number of sports, like baseball and basketball. DraftKings and FanDuel offer many ways to win money and they offer ways to enjoy DFS with your friends. Can I Bet Real Money On Sports In Michigan? Betting real money is the best way to participate in legal Michigan sports betting. Although there are no land-based locations for betters to go to the Great Lakes State, going online to SportsBetting, Bovada, 5Dimes or BetOnline allows you to bet real money on sports in Michigan. If you are able to win your bets, you can accept your winnings through wire transfer or in the mail. You can also use bitcoin to make sports bets as well. Is Online Sports Betting Safe In Michigan? Online sports betting is the safest way to enjoy legal Michigan sports betting. The offshore websites that we often suggest are leaders in the online sportsbook industry. These websites you state-of-the-art technology to make sure that your data is safe from harm. Dubious bettors can set up a VPN and use bitcoin if they still have their doubts. Will Sports Betting In Michigan Ever Be Legal? We believe that sports betting will be legal in Michigan. Although it is perfectly legal to go to online offshore sportsbooks, there are no regulated sportsbooks available in the Great Lakes State. As mentioned before, there are two bills currently up for debate in the state legislature. If these two bills pass and become law, sportsbooks will begin to open all over the state. Will I Get Arrested For Sports Betting In Michigan? It is extremely unlikely that you will get arrested for sports betting in Michigan. Michigan is rather kind in regards to gambling laws and the state is currently working on making sports betting legal and regulated. Most laws you will find in the US will go after bookkeepers rather than bettors. You can rest easy while you are making bets online knowing that you are abiding by the law. What Is the Sports Betting Age In Michigan? Michigan once again proves that it’s progressive when it comes to sports gambling laws by making the minimum age to place bets at 18. This works out because offshore sites have to comply by local laws to when they allow placing bets. Once a bettor turns 18, they can go to one of these offshore sites and place their legal Michigan sports bets. 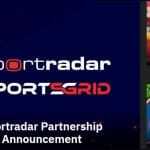 Are There Mobile Sports Betting Apps Available In Michigan? Unfortunately, there are no state-licensed mobile sports betting apps in Michigan. This doesn’t mean there are none though. Thanks to the offshore online sportsbooks, you can take the sports betting action anywhere you go. All you have to do is go to those websites through your mobile device, download the browser app, and then you can enjoy sports betting on the go. The app version of these sites offer all the same features you enjoy on the browser version. Where Is The Best Place To Bet On Sports In Michigan? Because there are no land-based locations that have sportsbooks opened, the best place for you to bet on sports in Michigan is on the internet. Thanks to the internet, you can place sports bets in your own home without having to go anywhere. You can also use the apps from these offshore sites to place sports bets wherever you want in Michigan. I imagine that placing sports bets near the great lakes would be a fun experience. Should I Use A Local Bookie In Michigan? Using a local bookie is the worst way to make sports bets. It is one of the few options that are not part of legal Michigan sports betting. It is highly risky and bettors can end up in a lot of trouble if they are caught with a bookie. The safest and most legal way for people to enjoy legal Michigan sports betting is to go online to an offshore website. Do Any Casinos In Michigan Have Sports Betting? Although there are a large number of casinos available in Michigan, none of them currently have sportsbooks open. 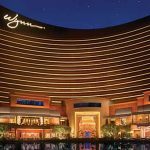 If the bills previously mention pass and become law, it is likely that these casinos will be the first places to open up sportsbooks. Even so, going to an online sportsbook will be much more convenient than going to a casino. Can I Bet On Sports With My Friends In Michigan? Right now, it seems that low stakes games with friends are not against the law. So long as nobody is making a profit by bookkeeping or organizing, betting with friends is another way to enjoy legal Michigan sports betting. Another way to bet with your friends is to get together and going to an online sportsbook. There, everyone can look at a large number of games across many different sports and make bets that way.